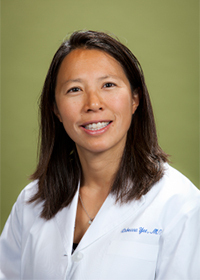 Dr. Yee is a graduate of University of Pittsburgh School of Medicine. She completed her residency program at Magee Womens Hospital of the University of Pittsburgh. Upon finishing her residency, she relocated to the Bay Area and worked at BaySpring Women’s Medical Group for three years. She was also a volunteer clinical instructor at University of California, San Francisco. 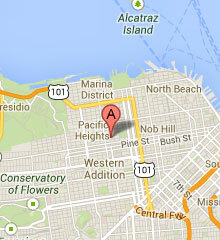 Dr. Yee moved to Pacific Gynecology and Obstetrics Medical Group in 2002. Her interests include general gynecology, obstetrics and family planning. Dr. Yee is actively involved in the Department of Obstetrics and Gynecology at California Pacific Medical Center. She is currently Co-Chair of the Perinatal Quality Committee at CPMC. She is also working for CPMC as a leader for Sutter Health’s Perinatal Patient Safety Program. She consults for Babycenter.com as a reviewer of medical content. Dr. Yee enjoys spending time with her family, travel and cooking. Her goals for her free time are to improve her piano playing skills and she would eventually like to learn another language. She loves the outdoors and enjoys spending time outside with her children.